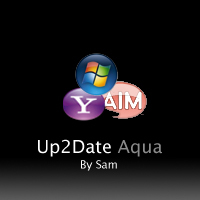 Nice job, although the AIM icon would look a bit better if it were more red (and less pink). Otherwise, excellent work! I agree about the pink. Otherwise, they are great! Definitely redden the AIM icon, they're nice and fresh though.